These cartridges are often called "PC-50x" due to their references (x stands for the last digit which varies from 1 to 8). They work with many systems, most of which were manufactured in Asia and sold in Europe under various brands and models (see the SD 050 and SD 070/090 pages for examples). For that reason, a same cartridge can have a different name, as shown below. Each cartridge contains a single dedicated chip made by General Instruments (GI). This chip actually contians most of the game circuits, so much that one would see the game on a TV set by combining the video signals of the chip and sending them to the baseband video input of the set. In other words, the console is more an interface than a real videogame system. Due to their wide market, several variants exist for a same cartridge. In addition to different tiles, their label may show a manufacturer, and their plastic case exist both in black and cream colors. 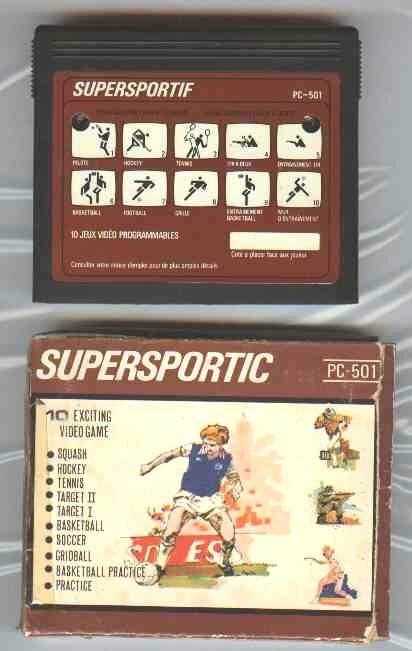 For example, the PC-501 cartridge exists in two colors, with and without Hanimex label, with the names of Supersportic, Supersportif and others. A few manufacturers used their own numbering, probably to catch more clients. For Rollet released the PC-501 as 4/305. 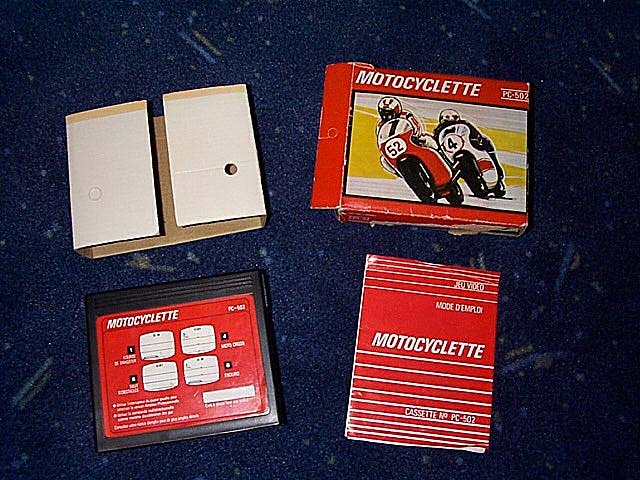 These cartridges were sold in a little carton box and had a very small user manual of a few pages. 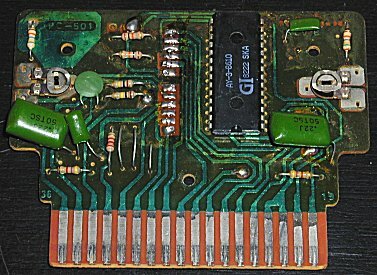 PC-50x cartridges contain a bakelite circuit board with poor quality solders. an Atari Stunt Cycle clone, as shows in the PONG in a Chip page. 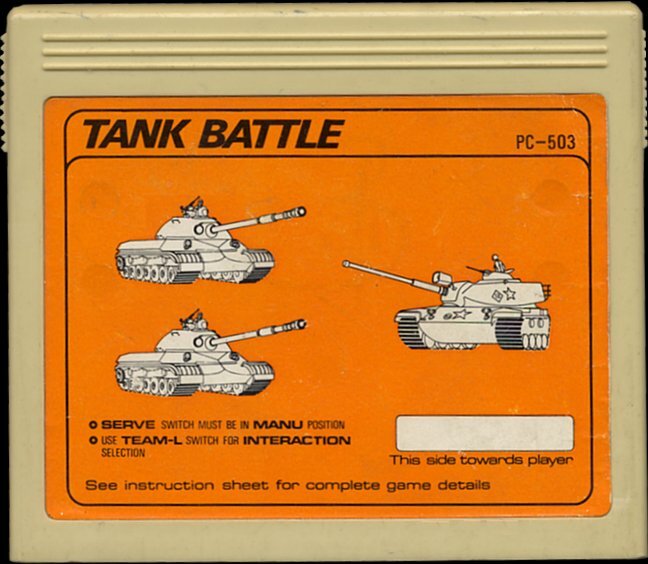 The PC-503 cartridge: two tank battle games. This cartridge is quite rare. It uses the AY-3-8710 chip. 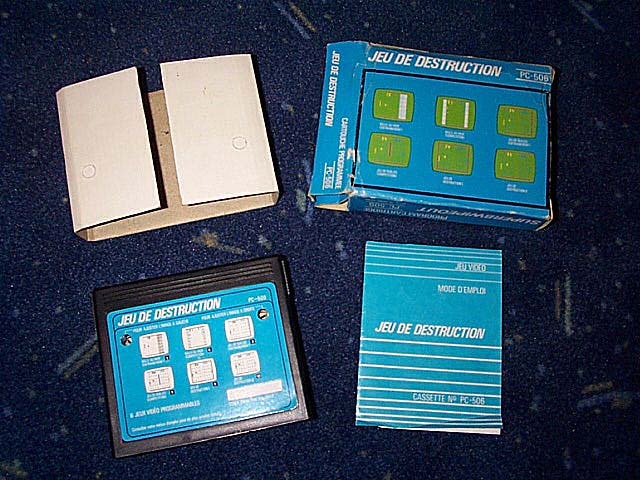 A few other systems like the Coleco Telstar Combat used this chip. 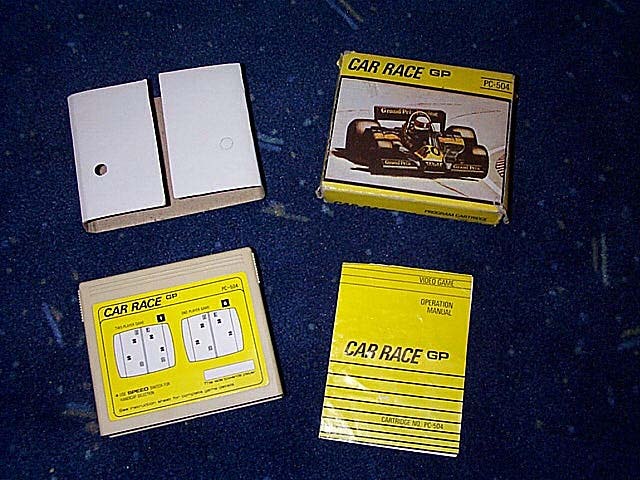 The PC-504 cartridge: two car racing games. 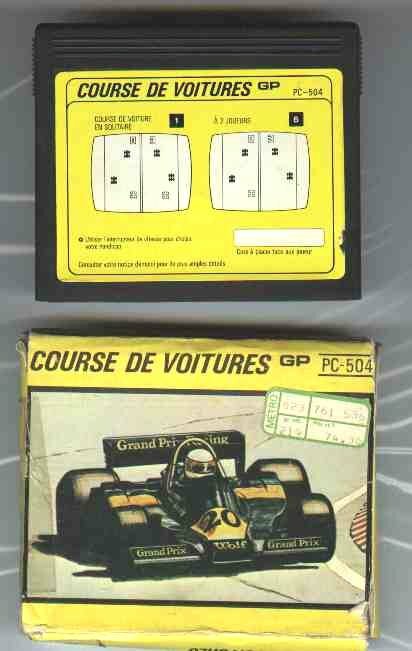 This is the RACE game mentioned in the PONG in a Chip page. Below: Rollet version (reference 4/306). (click the image to view in larger size). 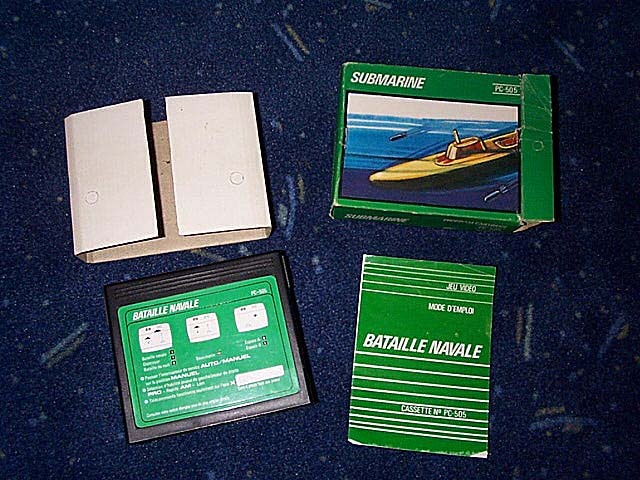 The PC-505 cartridge: three naval battle games. 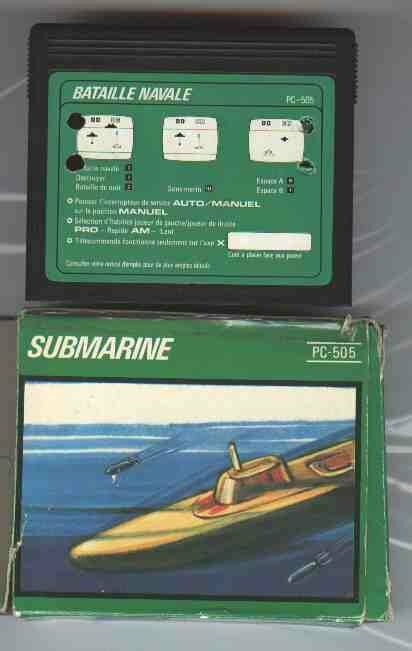 Listed as Submarine in the PONG in a Chip page. 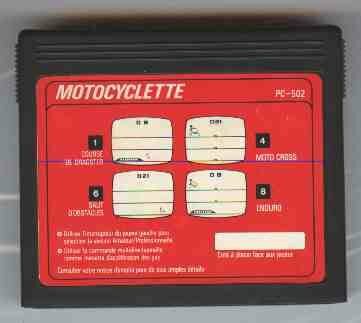 The cartridge shows the french name, whereas the box shows the english one. The PC-507 cartridge (target shooting games). 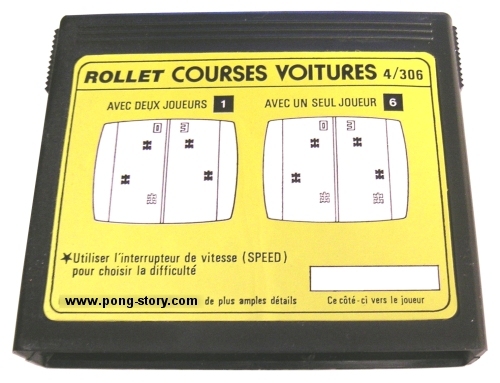 This is the Rollet version, reference 4/310. Click the picture to view in larger size.